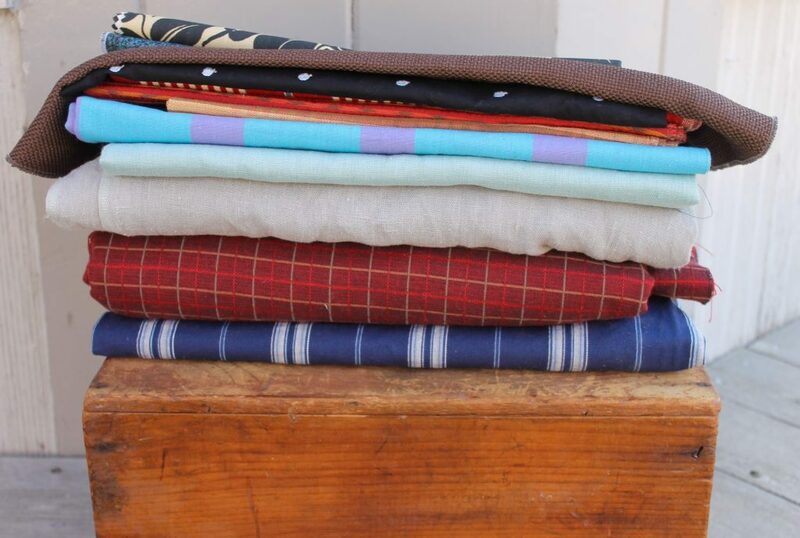 I was in Toronto last week and was fortunate enough to get to the Textile Museum fabric sale. I had never been before and was delighted to find all kinds of fabric — and even a bolt of leather — for bargain prices. 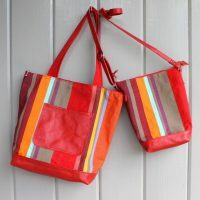 Here are some of my fabric pieces, great selections to line my totes and some others for spring and summer tunics. Those pieces in the middle are beautiful slub linen. I was also in Kingston on Saturday to see the fibre show at the Tett Centre. It is an excellent show, well worth a visit and lunch at the delightful Juniper Cafe is a must. 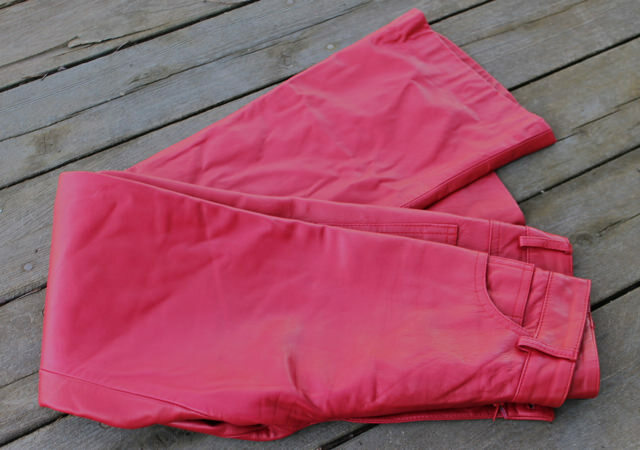 Afterwards, I dropped into my favourite vintage store and found these–cherry red leather bellbottoms! What a great find. You will be seeing these transformed into pouches in the fall. 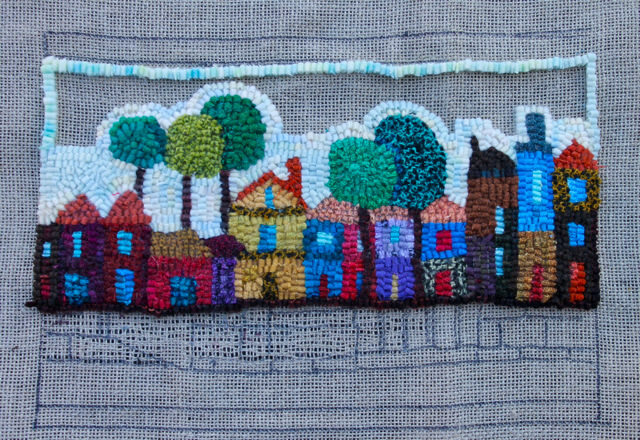 And finally, in the little time I have had at home, I have begun another village. This is to be a row of houses on a dock with water at the bottom. As you can see, my first idea for the dock did not work out. But that hasn’t taken away from the fun of designing these little studies. I’m learning a lot about colour and composition as I hook entirely from my leftover strips. Once I have the dock and water figured out and hooked, I’ll post again. In the meantime, I am heading to Montreal for a week of sketching. I hope the forecast improves and that I have lots of opportunity to sketch that wonderful city. I hope to post from there so I don’t leave such long gaps without writing. Thanks for sticking with me.